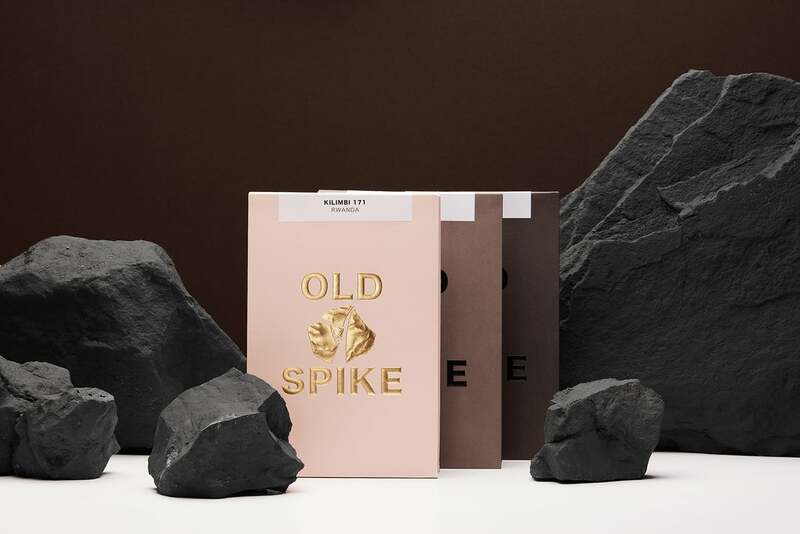 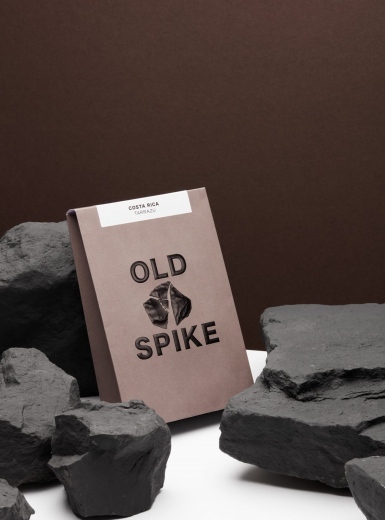 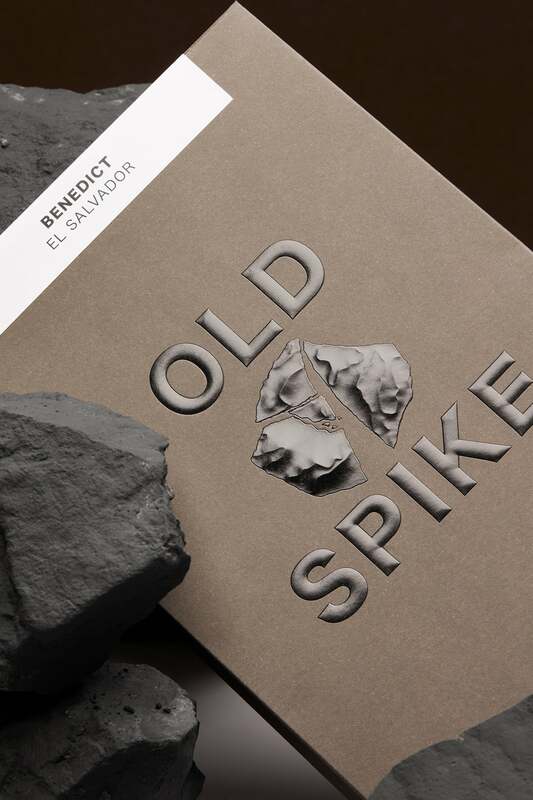 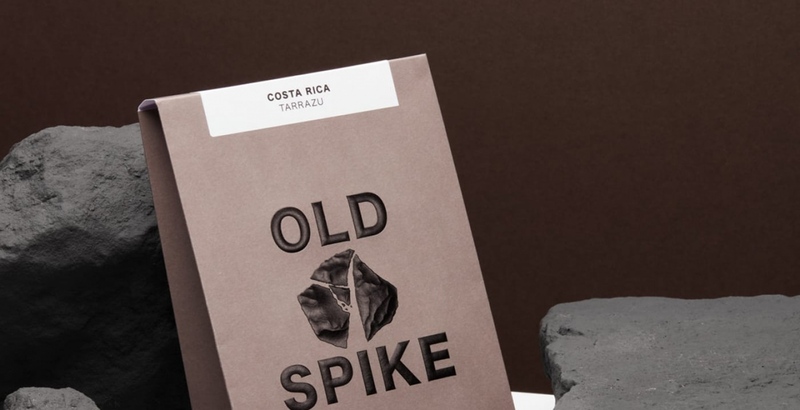 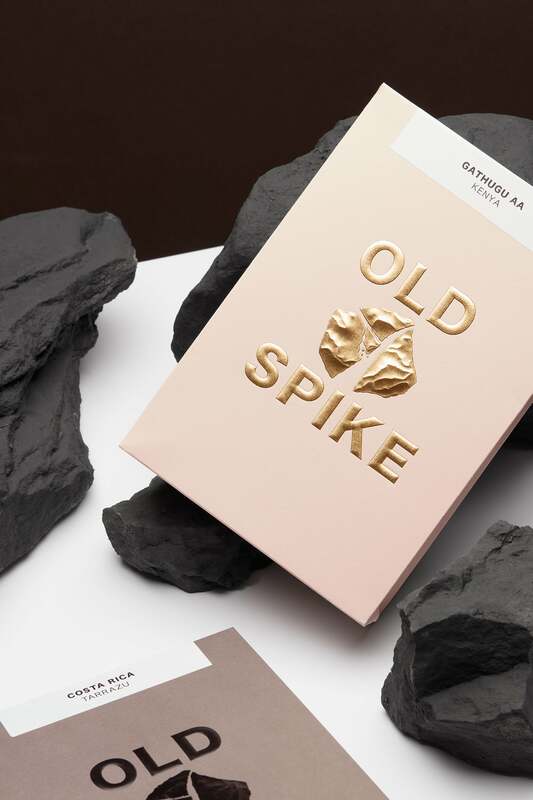 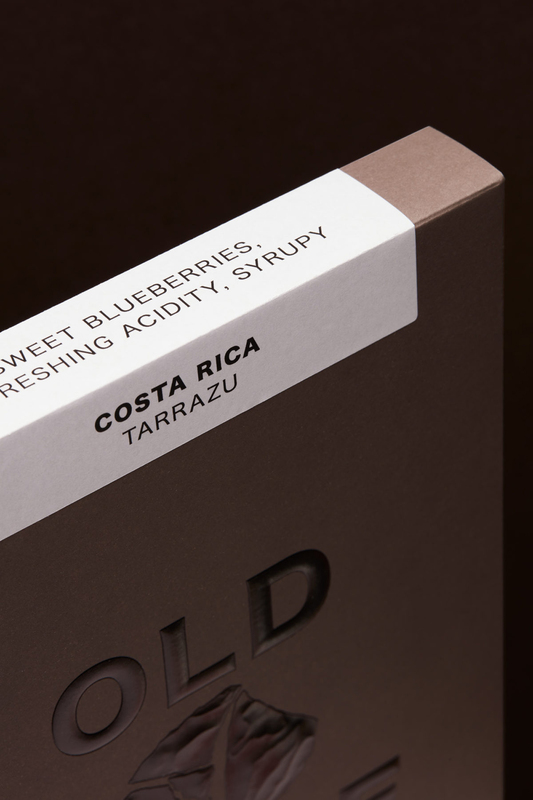 Beautiful packaging for the specialty coffee selection by Old Spike, created by Commission Studio in London. 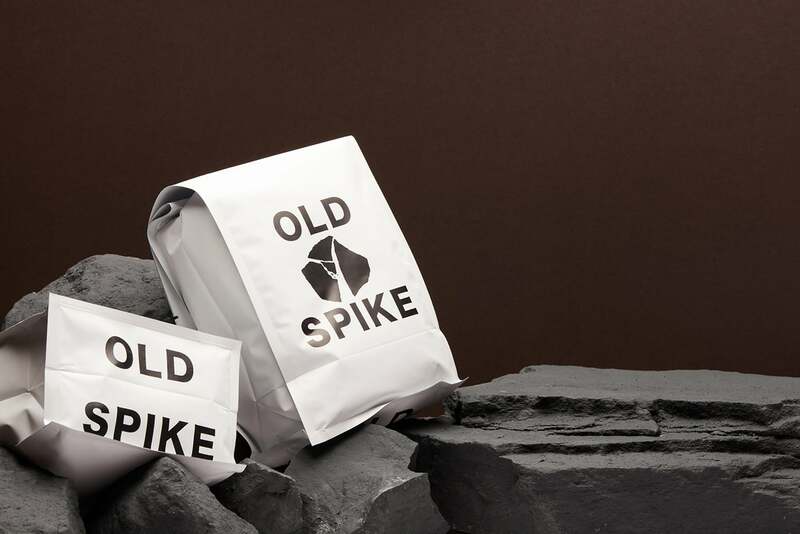 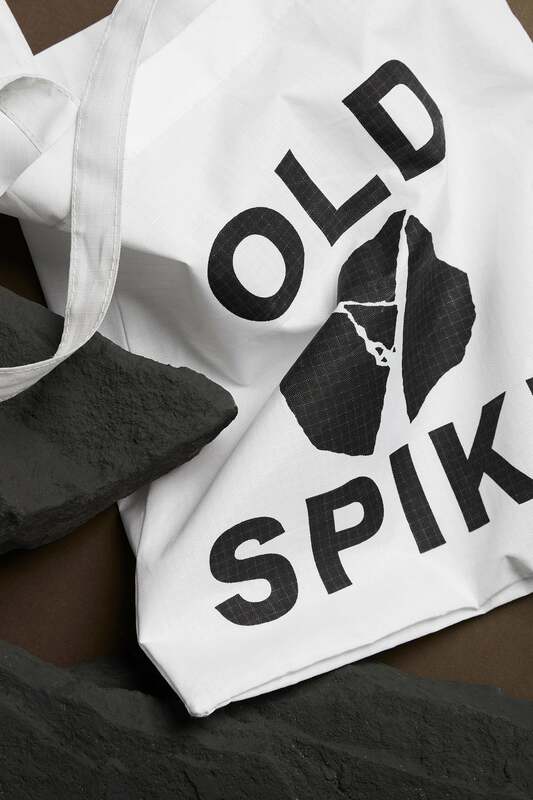 A new identity for Old Spike; a specialist coffee company based in South East London, operating as a roastery, cafe and social enterprise helping homeless people. 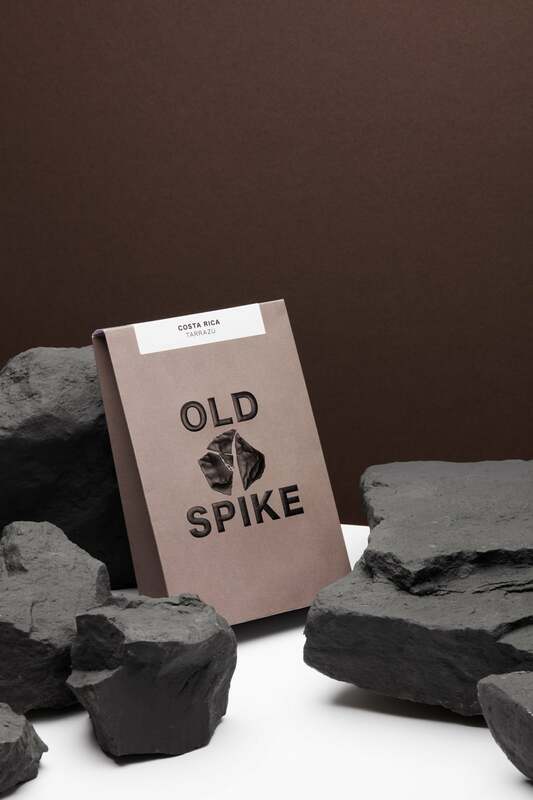 The broken rock and bold type form a raw and unforgiving brandmark, softened by luxurious print finishing. 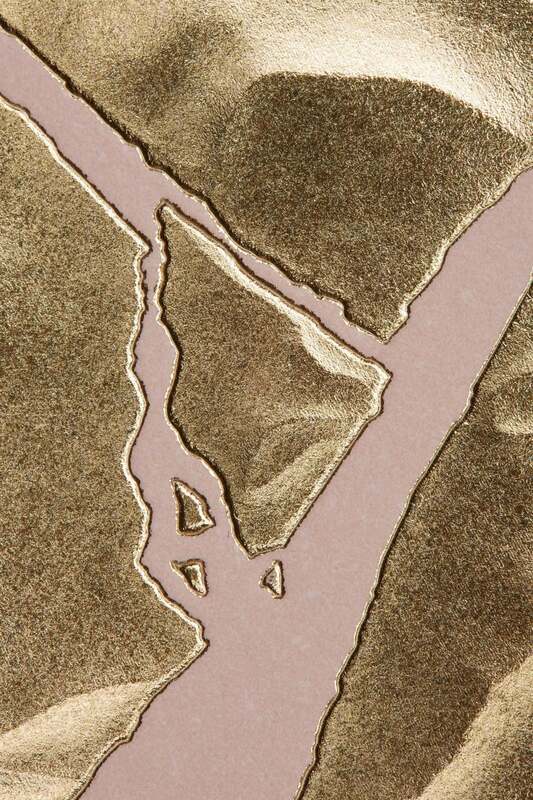 The mark is foiled as a 3D sculpted emboss on the face of slim card box, inspired by boutique retail bags.